Mike Ward checks out Oxygen Analysers. THE MOVE AWAY FROM PLAIN AIR to nitrox as a breathing gas for divers has had a marked effect on the way in which dives are planned and executed. The benefit comes from the lower inert gas fraction of the breathing gas. This reduces the requirement for mandatory decompression, at the expense of the increased oxygen content limiting maximum depth. 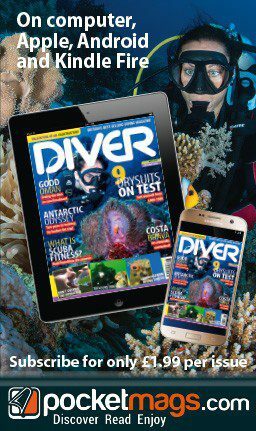 For most divers on most dives, the trade-off is a no-brainer, because the theoretical maximum depth is usually irrelevant. 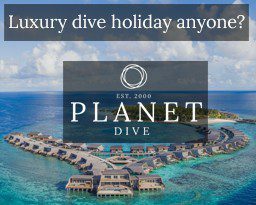 The effect on a multi-dives-per-day, multi-day diving holiday is just as marked. 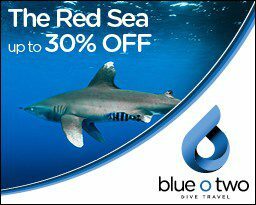 On air, a week’s Red Sea wreck safari would see me end the final dive of the week with 30 hours or more to total desaturation, according to my computer. Nitrox reduced that time to the low 20s, which was reassuring because it meant that I had off-gassed before flying home, always desirable. Using a closed-circuit rebreather with air as the diluent, which is effectively a machine for blending and delivering an optimum nitrox mix for the current depth throughout the dive, reduced my total desaturation time even further, to the low teens of hours. So I’d off-gassed by the time the second beer arrived. Of course, the tricky bit is measuring either the oxygen fraction or nitrogen fraction.You need only to measure one, because you can work out the other by simple subtraction, and in a rare display of general agreement the dive industry has settled unanimously on measuring oxygen fraction as the way to get the job done. 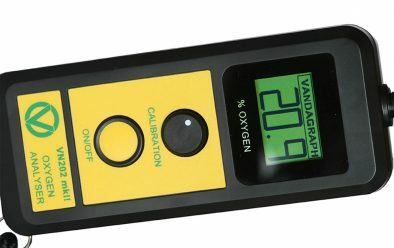 Vandagraph has been making oxygen analysers for divers for the past 25 years. Its first unit was the original VN202, which has now been completely redesigned and remanufactured to bring it bang up to date, and it is offered alongside the Tek-Ox, an all-in-one hand-holdable analyser. Both units work in exactly the same way and consist of the same three parts. First, there’s a lo-tec blue tube with a non-return valve, so gas can pass through in one direction only. Next comes an oxygen-sensor cell and, finally, an electronic control-box and display screen. The blue tube, which Vandagraph calls the Quick-Ox, is important, even if it is the most lo-tec part of the unit. 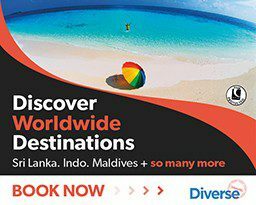 Watch people checking their nitrox mix on the average liveaboard and you’ll see them place the oxygen analyser against the pillar-valve, then crack the valve open. The result is a blast of gas that can damage the sensor, which is why all analysers have some sort of restrictor in the gas stream. The blast also delivers gas to the sensor at relatively high pressure, so the analyser over-reads the amount of oxygen in the mix. Vandagraph VN202 Mk11 control unit with on-off switch, calibration control and read-out. The correct way to do it is to open the valve first and get a slow, steady flow of gas, then position the analyser. I’ve often seen liveaboard guests measuring oxygen concentration two or three percentage points higher than I do, simply because they haven’t been shown how to measure it properly. 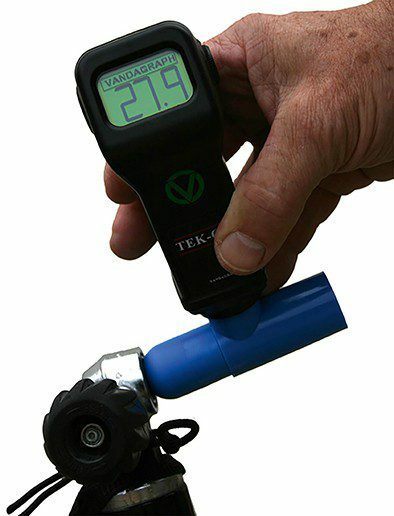 Vandagraph’s blue tube allows gas to flow harmlessly past the sensor, and collects a sample that is held at ambient pressure to measure. You get a more accurate read with less potential for damage, even if you do it wrong. The Tek-Ox comes with just the standard tube that push-fits to a spigot on the bottom of the unit. The VN202 Mk2 offers either the Quick-Ox or a package with an extra adapter that can be screwed into a DIN cylinder-valve. That Quick-Ox tube is probably the biggest difference between the Vandagraph units and the commonly seen Analox analyser, and is interesting because on my last Red Sea trip divers had a choice of an Analox or a spanking new Vandagraph Tek-Ox, and largely went for the Analox first because they didn’t like the blue-tubey thing. 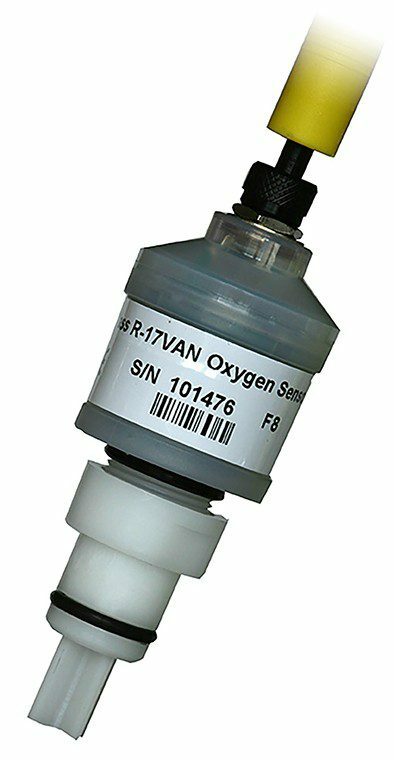 Leaving that aside, the oxygen-sensor is a Vandagraph R-17VAN, and its job is to produce a current in response to the proportion of oxygen in the gas you’re analysing. More oxygen, more current. The current is then measured by the electronics in the control box, which converts the reading to a percentage oxygen value and displays the final result in nice big numbers, ready for you to check your maximum working depth and program into your dive computer. Oxygen-sensors do have a finite working life, and Vandagraph suggests 12 months before the sensor has to be replaced, though it also says that sensors can last 2-4 years. Both units have a simple press switch to turn them on and a rotary calibration control.The current produced by the sensor can be affected by ambient temperature, among other factors, so when you switch the unit on your first job is to calibrate the read-out to display 20.9%, the fraction of oxygen in the atmosphere. Then you’re ready to measure the O2 content of your breathing gas. The Tek-Ox unit can be had in auto-off or press-to-turn-off variants. Both units are powered by a pair of user-replaceable AA batteries that can last 2000 hours, although Vandagraph recommends annual replacement. So much for the similarities. The difference is that the VN202 allows the sensor to be sited remotely from the display, which can be useful as part of a blending set-up, for example, while the Tek-Ox is the handheld solution you can use on the dive-deck of a boat. Both are IP65 water-resistant to stand up to use in the salt-laden atmosphere of a dive-deck, have been long-term tested on liveaboards in real life, and come with five-year warranty and a protective case.The Tek-Ox case is even O-ring-sealed to match the likely use aboard a boat. So do they work? The simple answer is yes, they do, and very well. 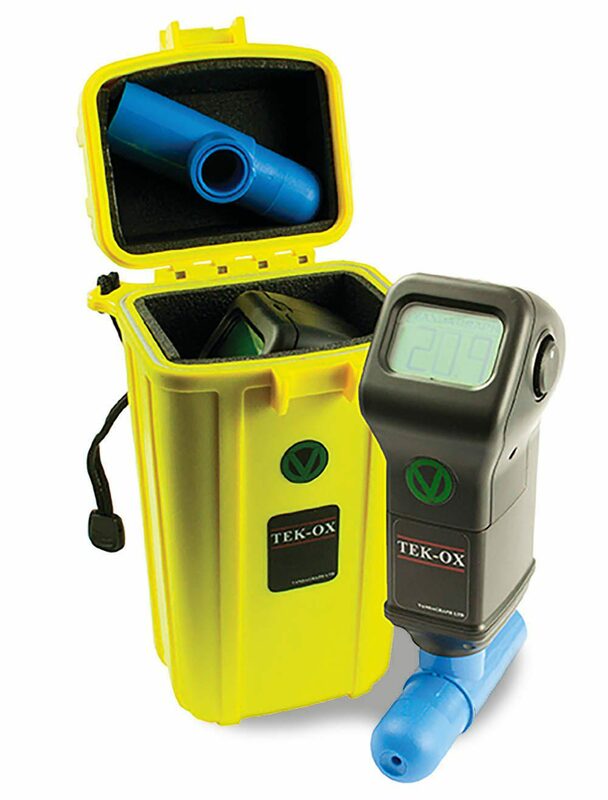 Vandagraph Tek-Ox in use measuring nitrox 27.9. I cheated a bit for the first test, and calibrated the Tek-Ox in air, then used exhaled air (just blow into the tube, sir!) to see what the unit measured – 16.1% oxygen, which is about right. The VN202 gave the same reading. At home I had cylinders available with pure oxygen, trimix 18/40, air, nitrox 28, and what turned out to be nitrox 54, which was the result of me using it as a deco cylinder and having it topped with air and oxygen over a series of dives in an effort to end up with nitrox 50. I was impressed that I’d got it so close! Long and short, both the VN202 and the Tek-Ox were within 0.1% of each other for every cylinder measured, which is close enough to be calibration-related and of no practical interest. The Tek-Ox was obviously easier to use as a one-handed solution, but the option to split sensor and control box makes the VN202 more appealing in certain situations. from an operational point of view the blue tube, lo-tec though it might be, is the biggest positive for the Vandagraph against the more common Analox unit, and seems an especially good idea if you’re allowing other divers to use the unit, even if a little more education might be required. 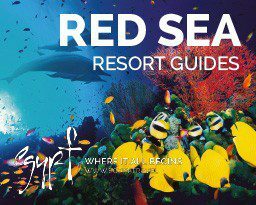 In the tests I ran I found both units easy to use, and a week of mixed diving including no-stop and mandatory deco dives using nitrox mixes analysed using a Tek-Ox reinforced my confidence in the units. Vandagraph VN202 Mk11 oxygen sensor.